Manitex International reported record second quarter results with a 9.3 percent rise in sales to US$68.4 million.  Net income was up 13.3 percent at the USA-based manufacturer of cranes and specialized material and container handling equipment. Second quarter net revenue rose 9.3 percent to a record $68.4 million, from $62.6 million in the year ago period. Consolidated backlog at June 30, 2014 increased 32.7 percent to $102.5 million, from $77.3 million at December 31, 2013, and 2.5 percent from $100.0 million at March 31, 2014. Second quarter net income was $3.0 million, an increase of $0.3 million or 12.5 percent from the second quarter of 2013 of 2.7 million. Earnings per share of $0.22 were unchanged compared to the year ago period. Second quarter EBITDA (1) of $6.3 million or 9.2 percent of sales, increased 14.2 percent from $5.5 million and 8.8 percent of sales in the prior year's period and was a quarterly record for the company. Announced an agreement to acquire, subject to Italian court approval, PM Group S.P.A., a leading Italian manufacturer of truck mounted hydraulic knuckle boom cranes with trailing twelve months (TTM) revenues through June 2014 of approximately $106 million. Announced that its Manitex Liftking operation has been awarded its third military contract for specialized military specification equipment with approximate revenues of between $30 and $45 million over the next five years. This award from the US Navy brings the value of contracts for deliveries in the next five years secured by Manitex Liftking in the past 14 months to a range of $75 – $125 million. "While our quarterly results were slightly below plan, we continued to grow our revenues to new highs with solid bottom line net income while EBITDA margins were in-line with our historic levels,” said David Langevin, chairman and chief executive officer. “The strategic direction we've taken to expand our product portfolio and diversify our revenue sources through in-house development and acquisitions continues to serve us well. We saw gradual improvement in demand from Europe produce improved order intake and product sales. Our backlog is up, though modestly, and unit production too, has moved higher compared to a year ago. We are excited about our recently announced pending acquisition of PM Group, and look forward to completing the acquisition and as we move forward, producing increased revenues and profits for our shareholders. While the transaction is not anticipated to close until the fourth quarter, we look forward to emerging from 2014 as a much larger and stronger entity and moving on into 2015 we will be growing into a new stage in our development from a base in excess of $350 million in pro-forma run-rate revenues." Second quarter 2014 revenues increased $5.8 million or 9.3 percent from the second quarter 2013 to $68.4 million, a quarterly record for the Company. However, the quarter's revenues would have exceeded $70 million if not for a number of government ordered units that shipped internationally at the end of the quarter that were still in transit and therefore unrecognized at the quarter's end. Second quarter 2014 revenues include the benefit of $6.4 million from the Sabre and Valla acquisitions made subsequent to the prior year period. Crane revenues were flat year over year and also reflected a higher percentage of lower capacity models from an improved general construction environment. Material handling revenues were lower from reduced commercial product sales but also from the previously mentioned in-transit shipments. Container handling revenues at our European CVS operation were strongly up, increasing 38 percent from the prior year quarter resulting from increased demand from both European and international markets. Strong demand, consistent order levels, and increased shipments in the quarter resulted in higher backlog at June 30, 2014 to $102.5 million. This represents an increase of over $25 million or 32.7 percent from December 31, 2013 and a sequential quarterly increase of $2.5 million or 2.5 percent. Net income for the quarter of $3.0 million was equal to the highest achieved by the company to date, and reflected an increase of $0.3 million year over year and a sequential quarter's increase of $1.1 million or 59 percent. Compared to the second quarter of 2013, higher revenues of $5.8 million combined with a 40 basis point decrease in gross profit percent principally from product mix, generated an increase in gross profit of $0.9 million. Operating expenses increased $0.3 million, including $0.8 million related to companies acquired since the second quarter of 2013. SG&A expenses were 10.8 percent of sales, compared to 11.3 percent for the second quarter of 2013, and remain controlled within management's target range. The other principal factor influencing operating income was $0.2 million of increased tax expense attributable to higher income and to an increase in the effective tax rate to 32.5 percent from 31.2 percent for the second quarter of 2013. The principal factor accounting for the increase in the effective tax rate was the absence of R&D tax credits as such provision expired as of December 31 2013. "This was a very positive and exciting quarter as we announced not only record quarterly revenue and net income but also took very important steps in building our company,” said Andrew Rooke, international president and chief operating officer, Manitex International. (1) EBITDA and adjusted net income are non-GAAP (generally accepted accounting principles in the United States of America) financial measures. These measures may be different from non-GAAP financial measures used by other companies. We encourage investors to review the section below entitled "Non-GAAP Financial Measures."